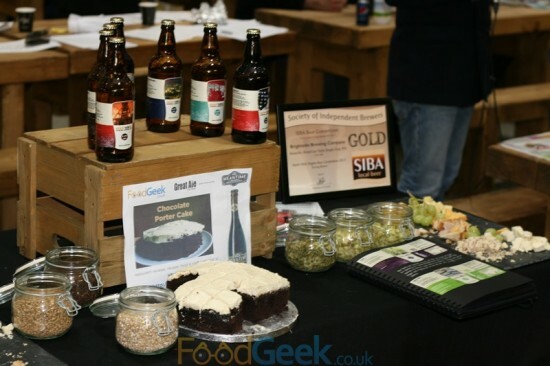 I was one of the first customers at Great Ale, Year Round on the opening day of the new ‘Lifestyle Hall’ at Bolton Market a few weeks ago. I’ve been back several times since, although not as many as i’d like considering how much I love the place. Owners Dan & Gina were amongst the first to open in the new hall with many of the traders choosing to wait until closer to the official opening which was last Friday. 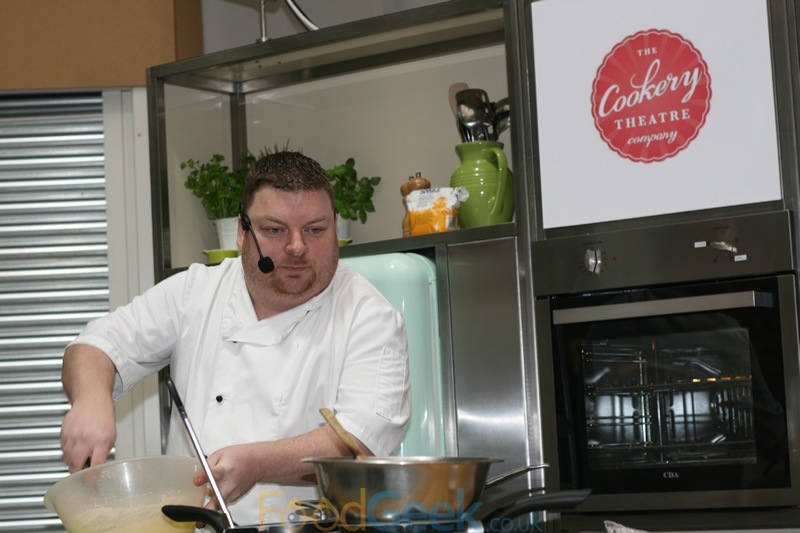 The £4.5million redevelopment was officially opened by the mayor of Bolton and the market’s new ambassador, celebrity chef Simon Rimmer. The party continued the following day with further activities including cooking demos from local chefs. 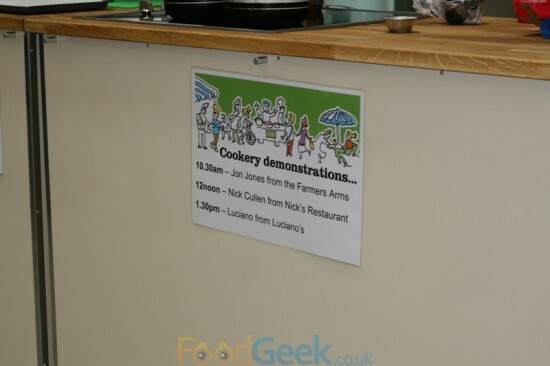 I arrived on Saturday morning to find chef Jon Jones from my favourite local pub/restaurant The Farmers Arms had just started cooking up a storm in the demo kitchen. 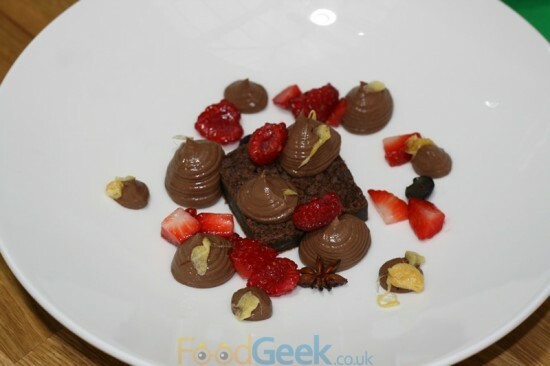 In around 20mins he’d made chocolate brownies, chocolate ganache, Vimto berries and homemade pulled honeycomb! 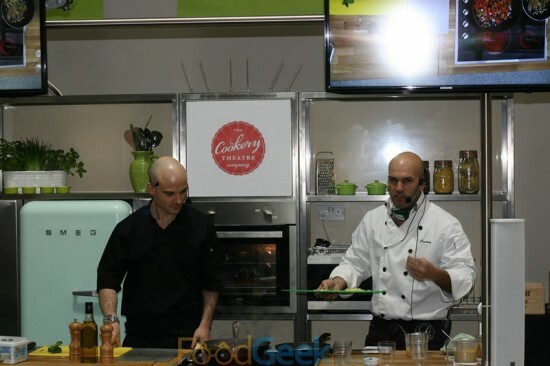 (Although, in true Blue Peter fashion he did have a brownie he’d made earlier to save the people of Bolton from watching an oven door for 30 minutes). 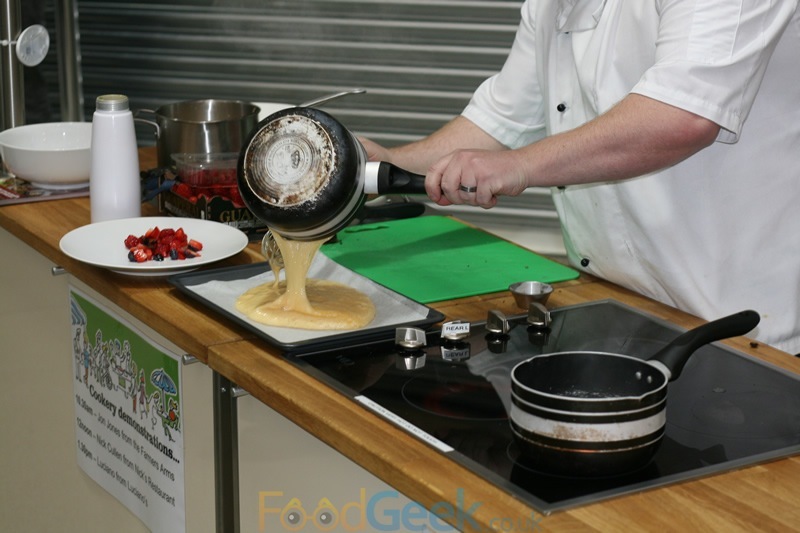 Unfortunately I didn’t have chance to taste it as I had to rush off but it looked great and smelled amazing too. One of the things I like about Great Ale, Year Round is that they’re not just there to sell beer, they’re passionate about craft ales and want to get involved at every level; sourcing new ranges, supporting local breweries and running special events. 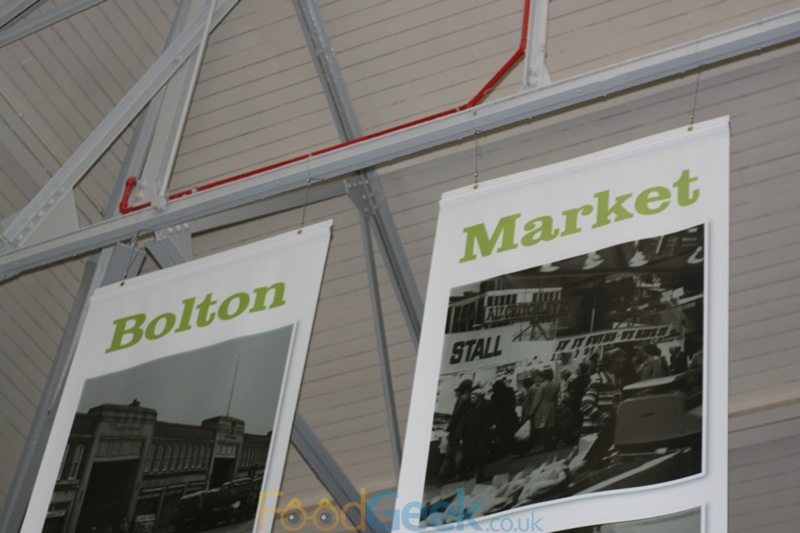 The first of which was planned to coincide with the reopening of Bolton Markets. Carley from Brightside Brewing Company was to feature in the first of many ‘Meet The Brewer’ mornings. 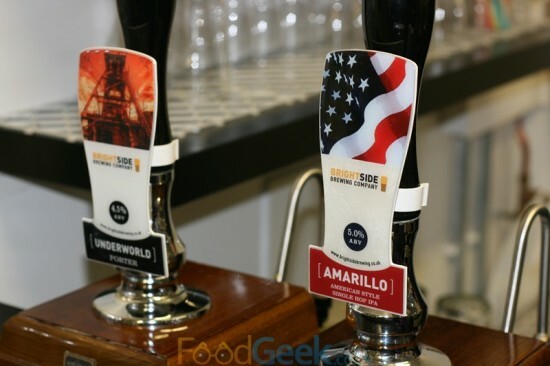 I was already a fan of Brightside having enjoyed several of their beers including their American IPA ‘Amarillo’, which I took to a recent American supper club and successfully paired with crunchy chicken wings. I hadn’t tried their porter ‘Underworld’ though so when it appeared on one of the pumps it seemed rude not to. I’m glad I did as I loved the dark, chocolatey beer. It wasn’t a formal event with an official presentation, instead Carley spoke to people in groups or individually. I enjoyed hearing all about Brightside, based in Radcliffe. I learned that they’ve been making beer for around 3 years, originally in the little spare time her family had after the long hours of running their own bakery. Things went so well that last year they sold the bakery to focus on producing beer full time. 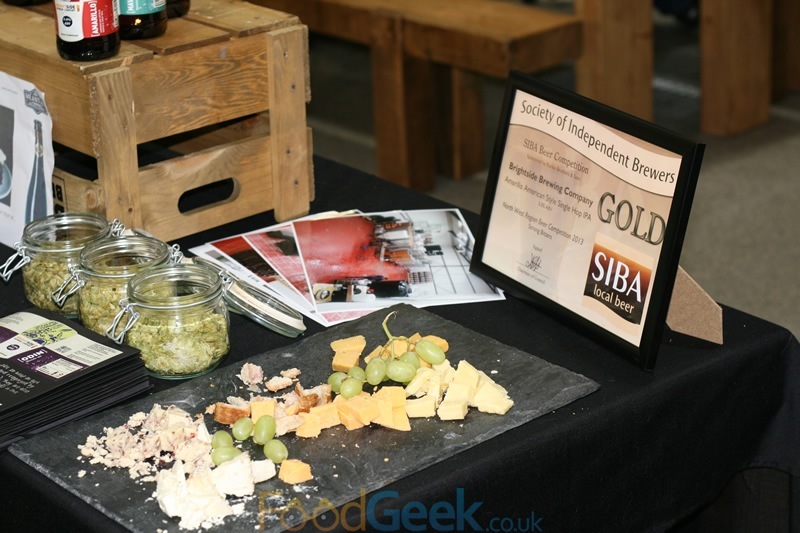 She brought samples of the range of beers along with other interesting things such as hops and cheese. One of my previous visits to Great Ale was to purchase a bottle of TicketyBrew stout to make Mrs FG’s birthday cake. It turned out even better than I expected and I promised to bring a slice to Gina and Dan but unfortunately it never made it (we ate it all). I offered to make a new one and the market reopening/meet the brewer event seemed like the perfect opportunity. 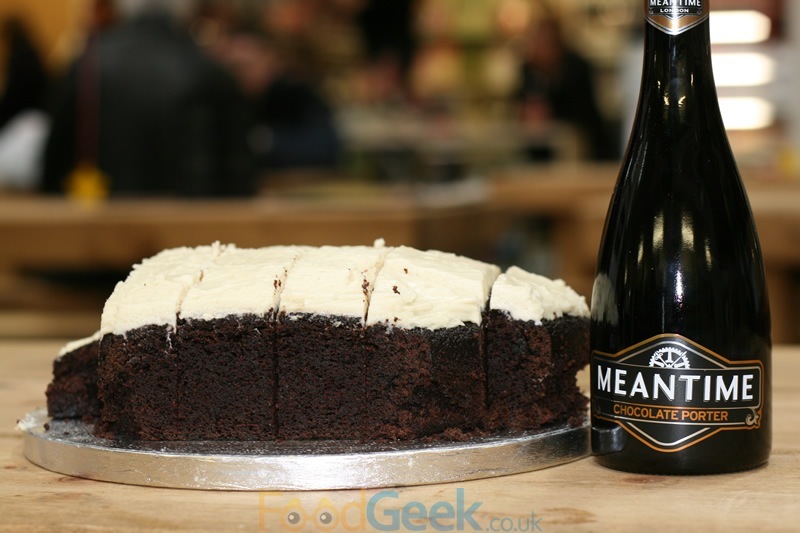 To keep things interesting this time I made the cake with a Meantime Chocolate Porter. It again turned out perfectly; a tasty, moist, chocolatey delight. The public seemed to agree as the rather large cake had completely disappeared in under 30 minutes! After a few more beers I went for a walk and found the whole of the market was completely buzzing by this point; the highlights being a delicious Mars Bar cheesecake from trader ‘Cake & Decorate’, further cooking demonstrations from Nick of the imaginatively named Nick’s Restaurant and Luciano of the equally ambitious Luciano’s. 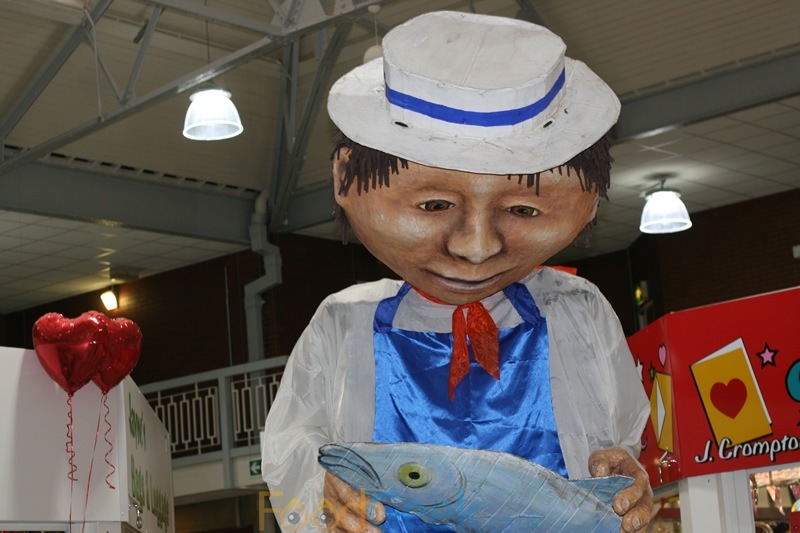 And a giant fishmonger named Jimmy. I had a great day overall but especially at Great Ale, Year Round which is rivalling The Farmers Arms as my favourite place in Bolton. 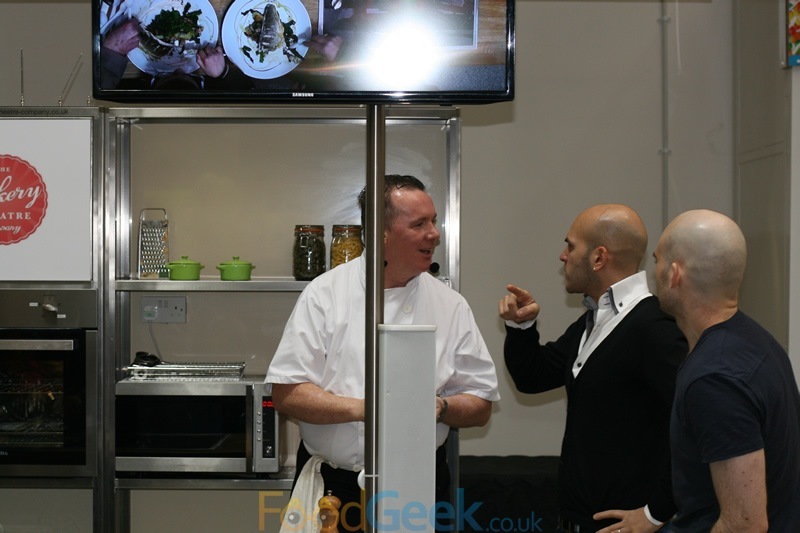 I know there’ll be many more visits to come and we’re in talks about possibly collaborating on some sort of foodie/beer event in future, so watch this space!